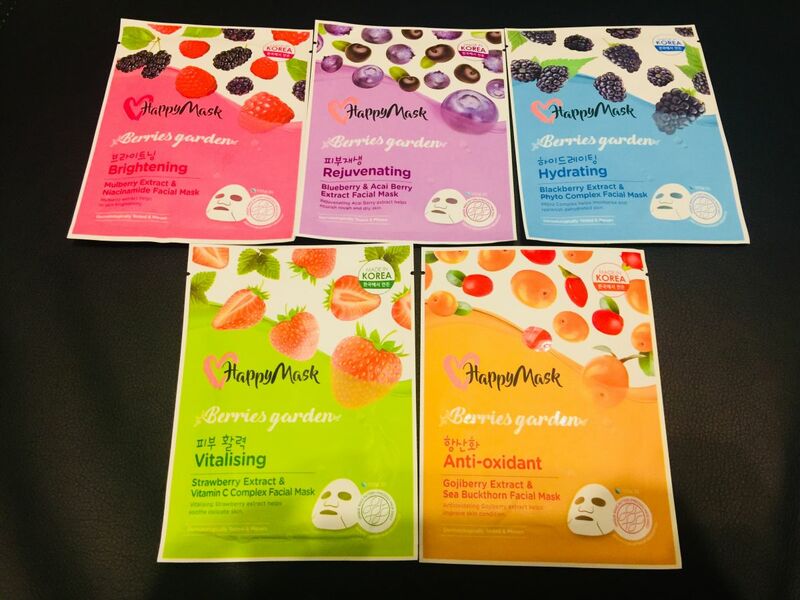 Made In Korea, HappyMask Berries Garden Face Mask is an anti-oxidant and beneficial face mask for daily use. My favourite were hydrating & brightening. I dont have the chance to try the other type as its always out of stock. 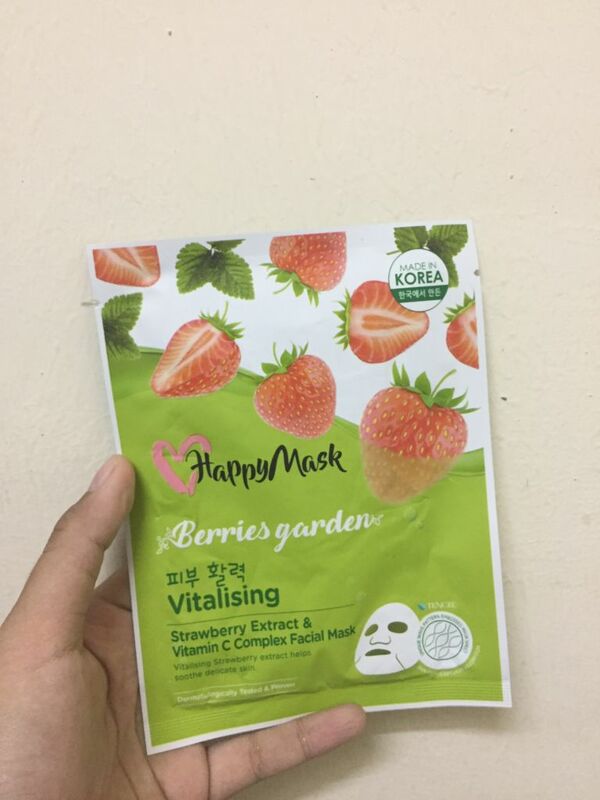 This mask can be bought at drugstore such as Guardian. The scent was so nice & calming. 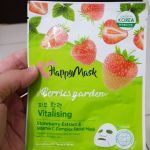 I would like to rate 5/5 for this mask as they hydrate my skin well. The size of the mask is fit well. I am gladly that i purchased this product as I love their packaging so much. So colorful & so berries!!! 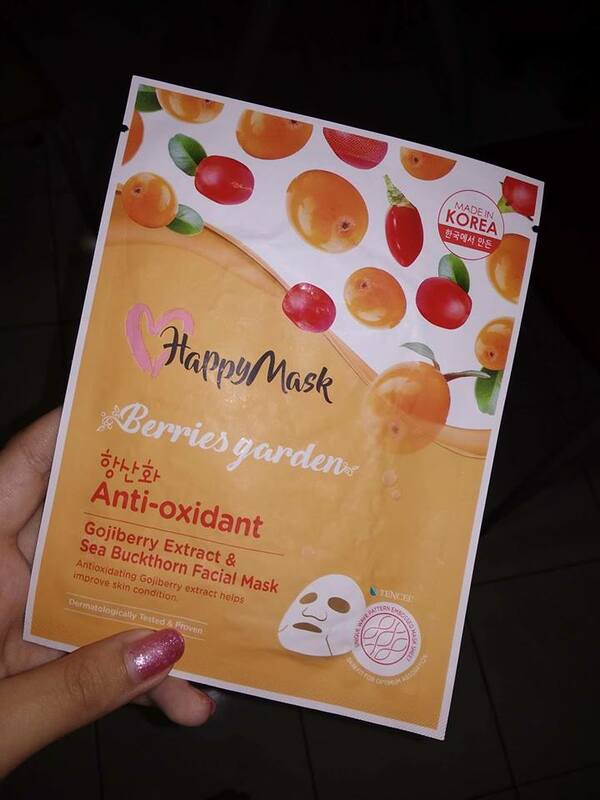 A mask with different favorite ?!! 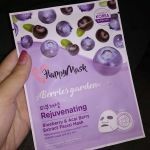 Received 5 pcs of Happy Mask from 100comments but I’m sorry that I’m late to submit my review because of busying I’m moving house? 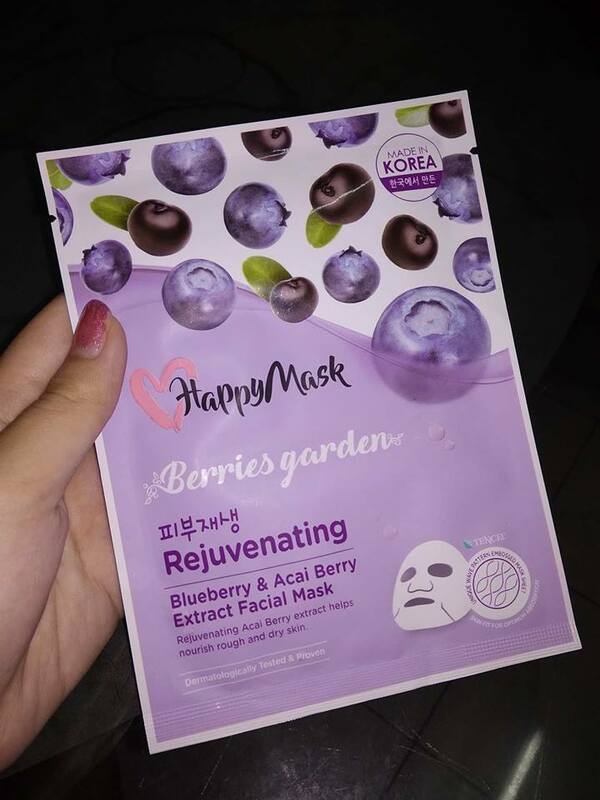 Tried all the favorite of the berries garden face mask and the only thing can said is I feel good ❤️ It help to refresh my tired face and store up the moisture level to my skin! The sizes are just nice to apply on my face but the only thing is the mouth area a bit small. 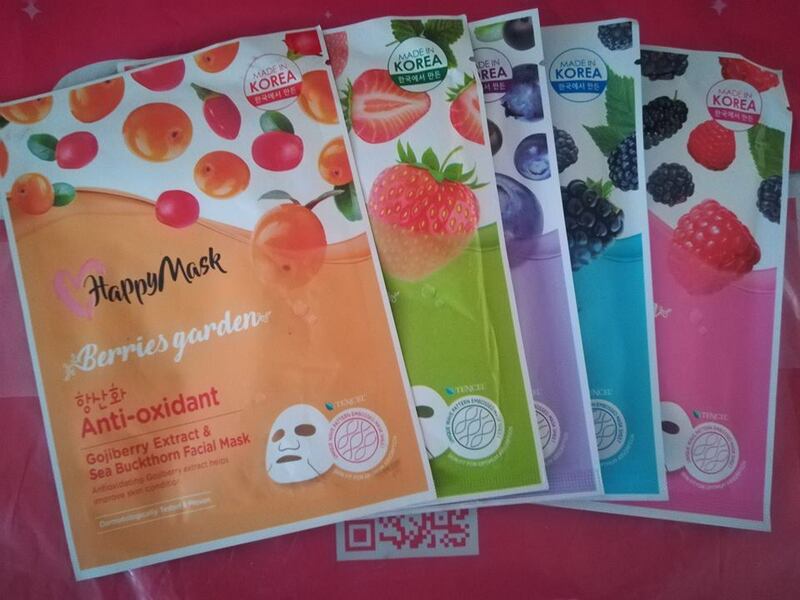 I received 5 different masks for review. 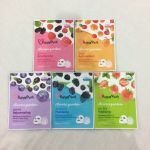 Each has different scent and different purpose – hydrating, rejuvenating, vitalising, brightening and anti-oxidant. 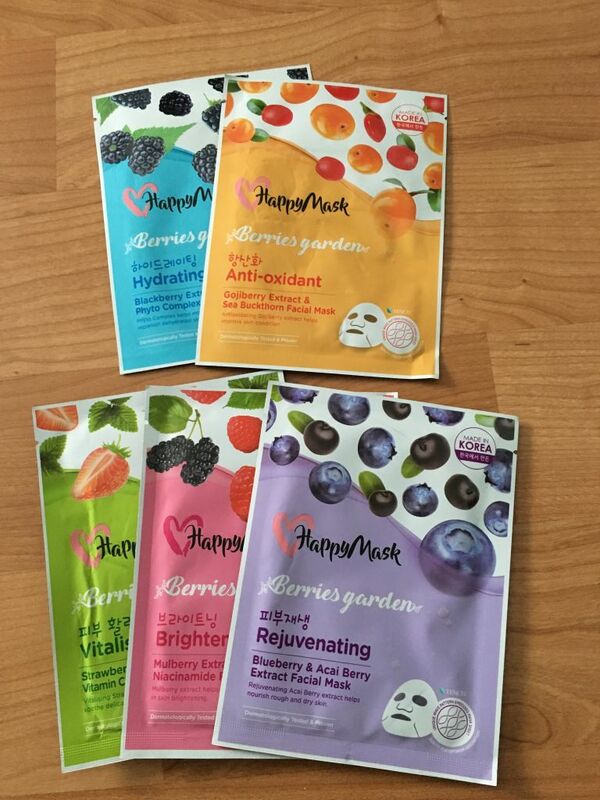 These masks are easy to put on and fits my face perfectly. 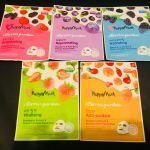 After using, face feels soft, fresh and hydrated. I love the scents too. I feel relaxed and the unique wave pattern gives optimum absorption. 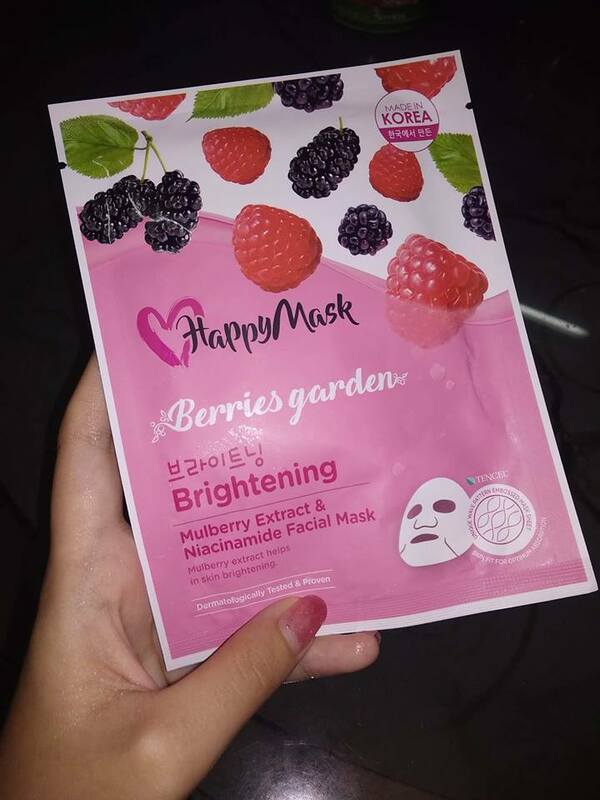 thanks to 100comments to give me try out this mask. It comes in 5 types: Anti-oxidant, vitalising, hydrating, rejunevating and brightening. 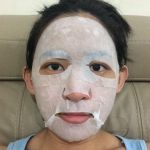 I put on the mask every 2 days once to boost up my skin hydrating level in a short period to prepare for my BIG day. 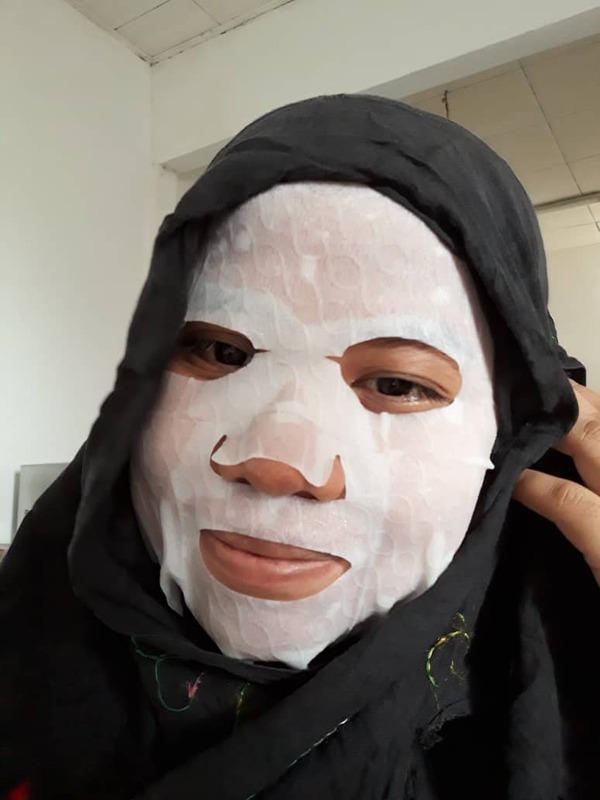 I store the mask to fridge so that every time i put on the mask it gives me cool sensation in this super Hot day at Malaysia. 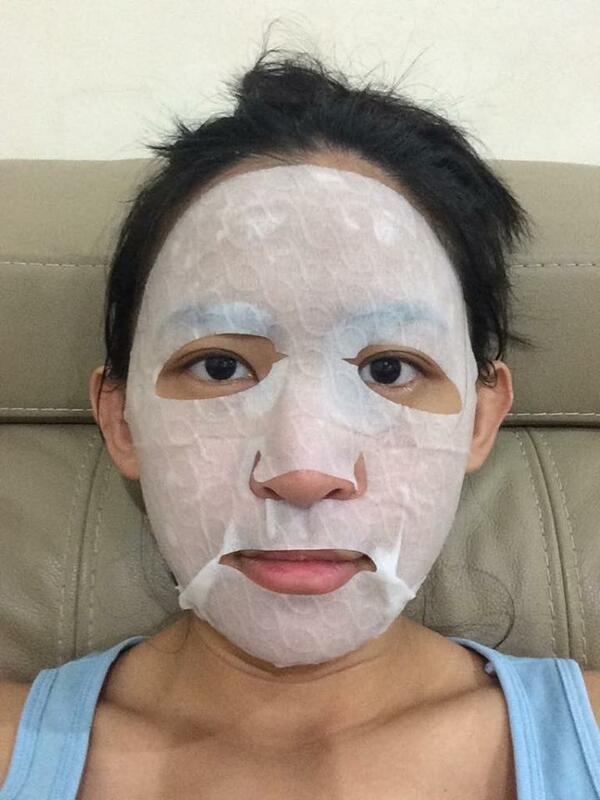 Then i try out with the Rejuvenating mask. 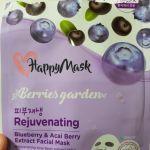 It’s fit perfectly on my face and i loves its blueberry smell. My skin looks shinny and fully hydrated with water after wear on the mask. 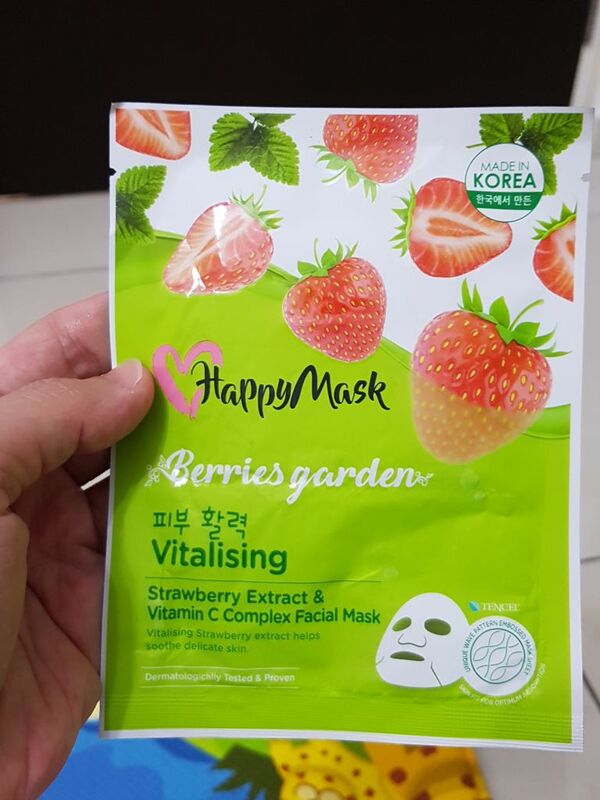 Next is the Vitalising mask. 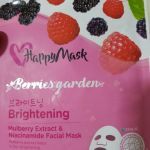 It made with Strawberry extract and functions is to strengthen skin barries and soothe skin. 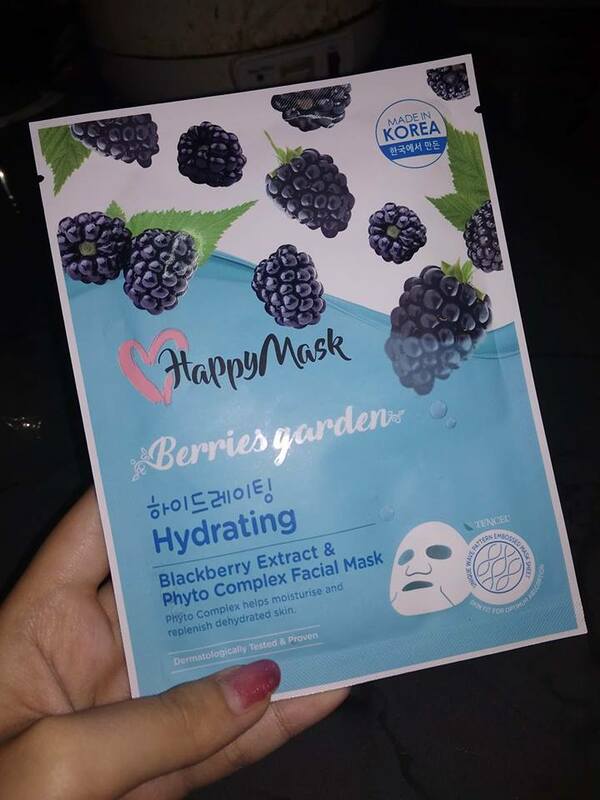 Hydrating mask is using blackberry extract, hyaluronic acid and phyto complex. Hyaluronic Acid is well known as to hydrate and replenish dehydrated skin. 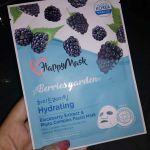 This is the mask I most love because my skin always dehydrated due to stay in the air-conditioning room for long hours. 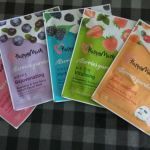 My skin feel well-hydrated and supple after use. 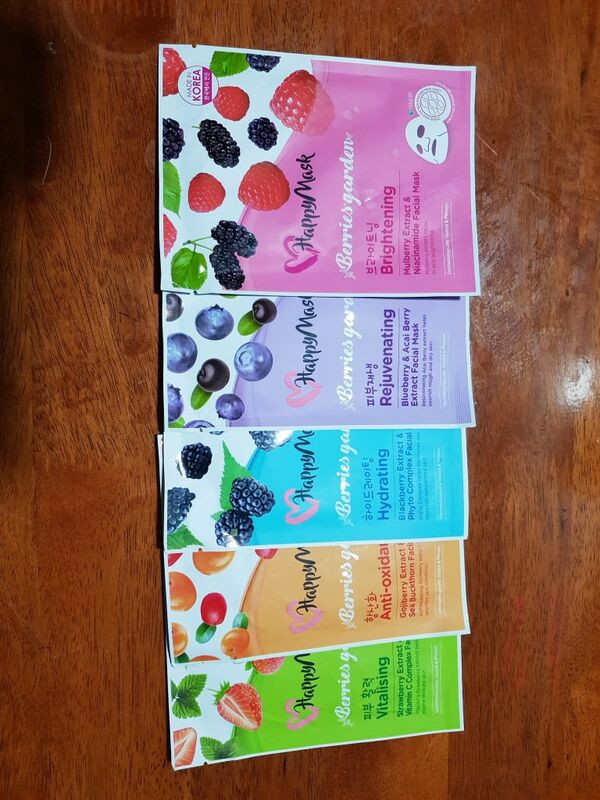 Lastly the mask I tried out is the brightening mask. In my opinion, skin must be in the well-hydrated level before I use for the brightening mask. 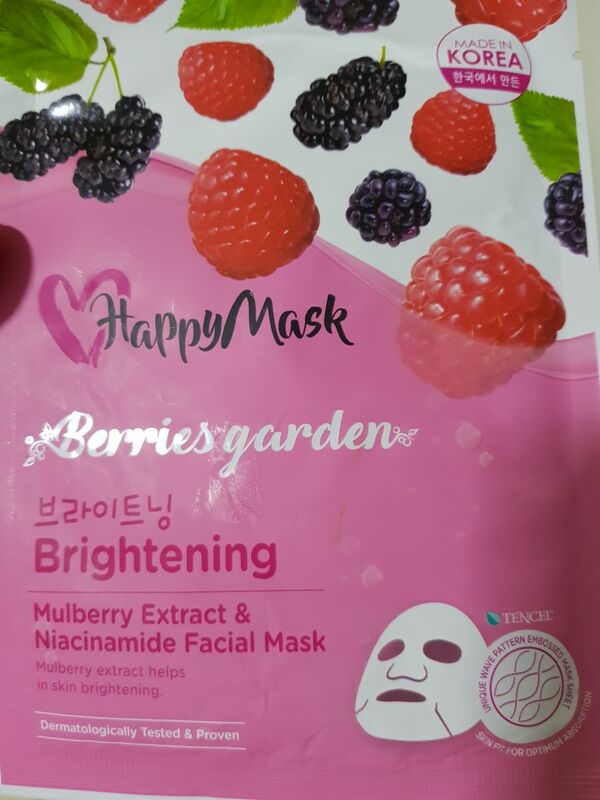 It’s using mulberry extract and Niacinamide which can helps on skin brightening. 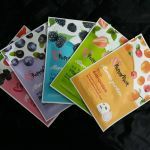 It lighten skin, smoothes the appearance of fine lines and provide antioxidant as well. My skin looks glowing after used. 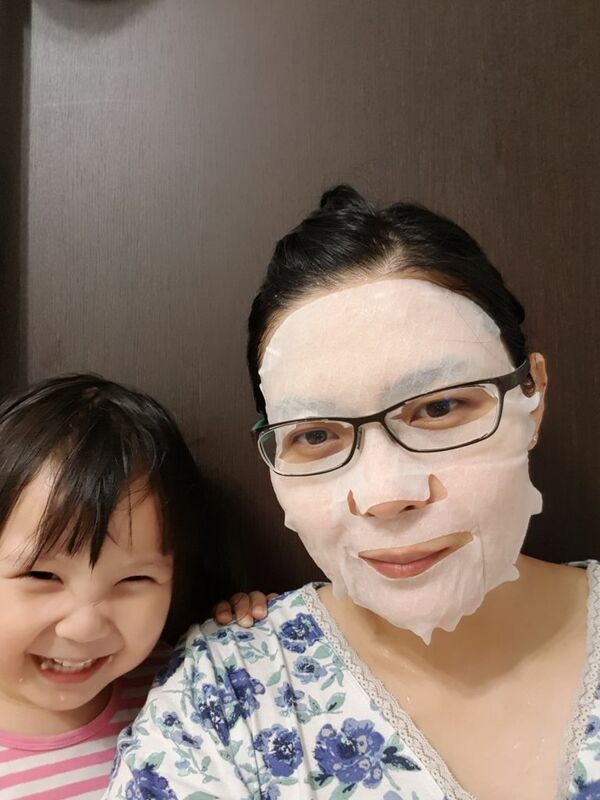 Overall I looks the sheet mask very much. 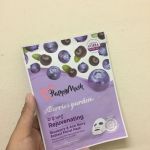 For me sheet mask must perfectly fit to my face and my skin should be supple and well-hydrated after used, Happy Mask did very well on it. 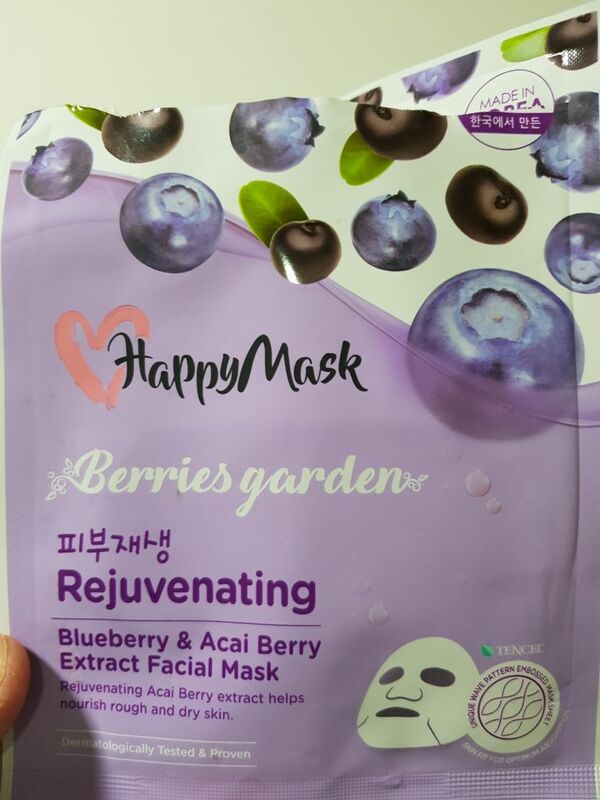 It won’t leave over too many essence in the packaging, the volume is just nice to soak the mask and you can apply the balance essence to your face / body area. It didnt leave sticky feeling which i very hate. 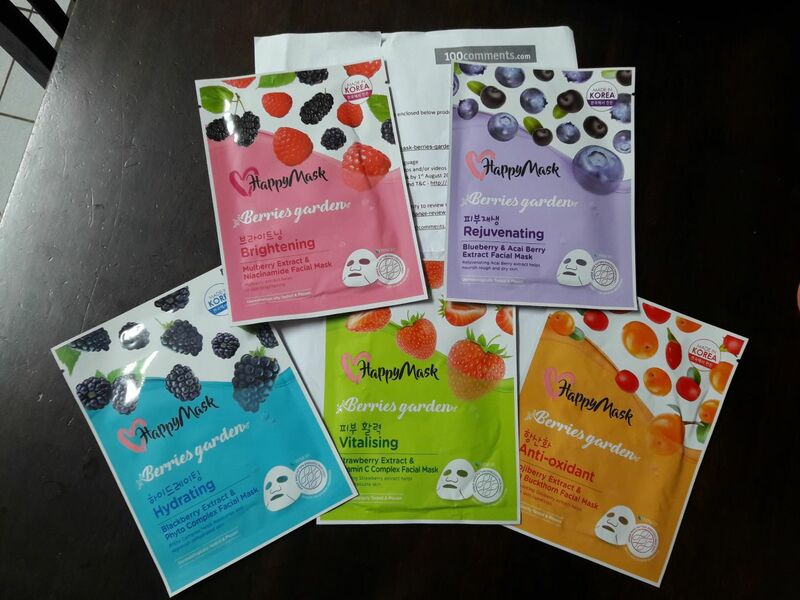 And lastly i really likes the mask sheet scent which comes from the fruits and flower extracts. 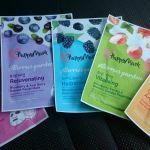 Just put on for 10-15mins and you will feel your skin brighten and well-hydrated. 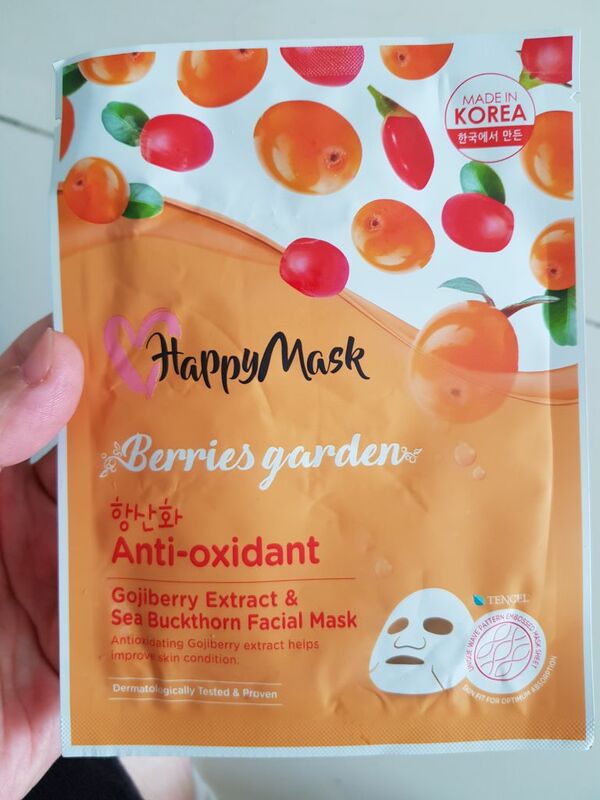 I really love this HAPPYMASK, just like it name, it really make me HAPPY ? Between all of it, I like the Berries one. First time I wear it, I can feel how pleasent the smell was. 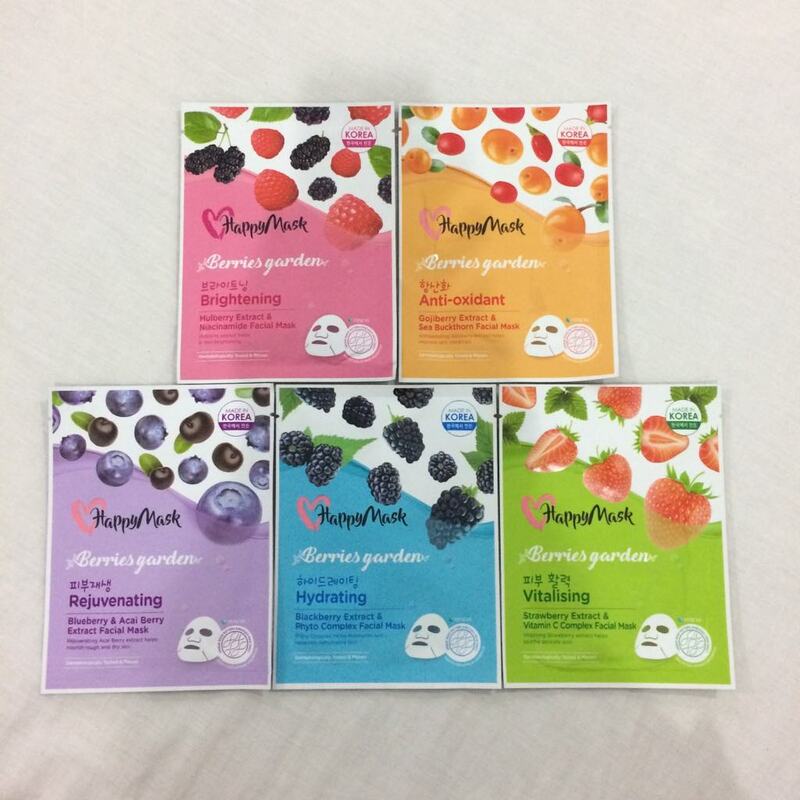 ❤ It also make me feel refresh, my face skin become more moisturize. ? 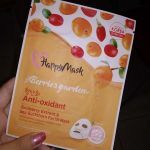 If you never try this mask, you should try ir now ! ? 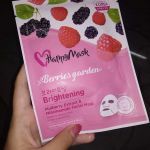 Definitely a mask I would recommend for us ladies. 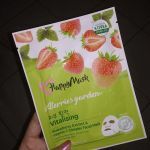 One must always take care of ones skin and with this mask, it becomes so easy! 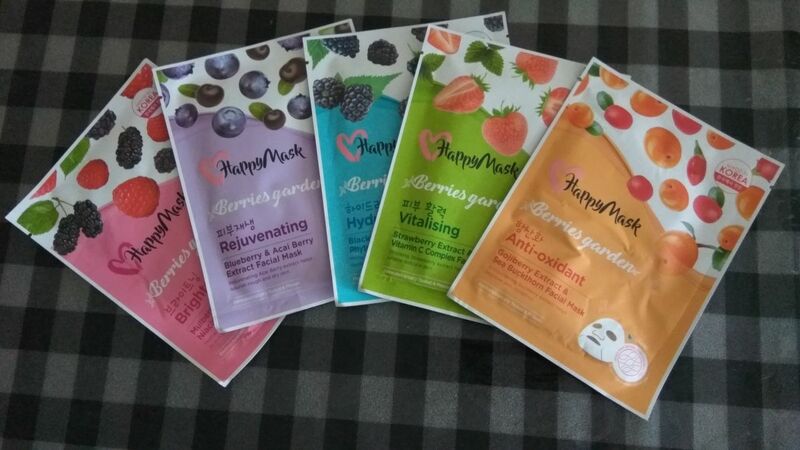 5 different masks for different issues. Vitalising, Hydrating, rejuvenating, brightening and antioxidant! 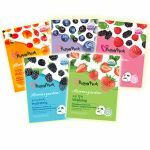 Love the fruity smell especially the antioxidant and brightening range – so fruity and sweet it smelt so yummy!!! 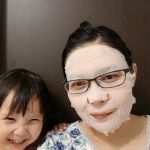 The mask is made of super soft material and very comfortable to wear. 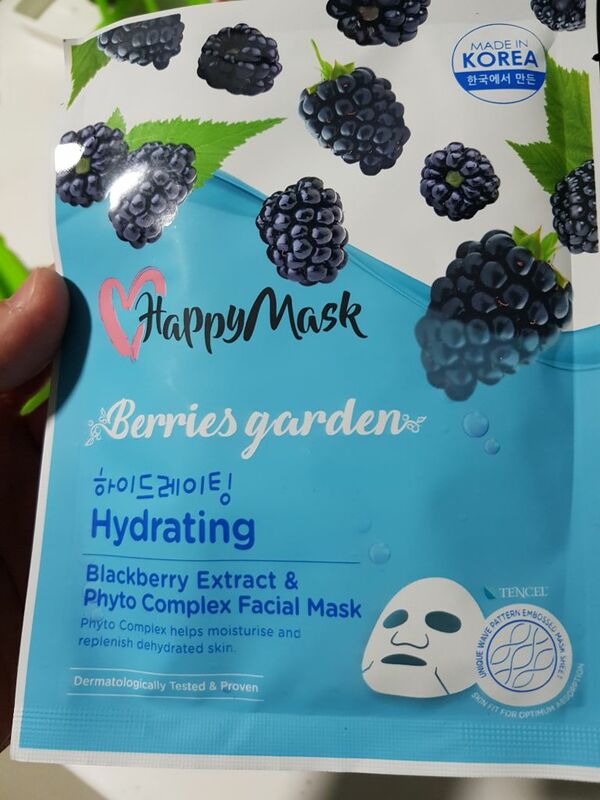 The mask was not over soaked with loads of product and not dripping when removed from the packaging. Thus you did not have to suffer from excess running down ur face and neck. Application was a breeze and I loved the size cuz I have a broad face! It fit perfectly!!! After 5 days of pampering..I can feel my skin softer and brighter. 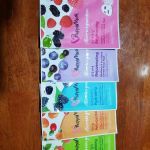 Challenge yourself today with a 5 day mask challenge today!!!! 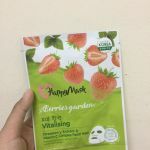 Kawan saya yang recommend mask ini. Saya cuba 2 iaitu blueberry dan strawberry. Bau yg sangat menarik dan fruity! 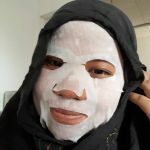 Selepas beberapa minit penggunaan kulit muka menjadi fresh dan lembut. Harganya juga amat berpatutan. Memang terbaik! 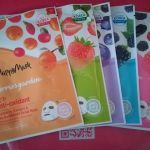 I have used all 5 types of the mask, each type has its own function. 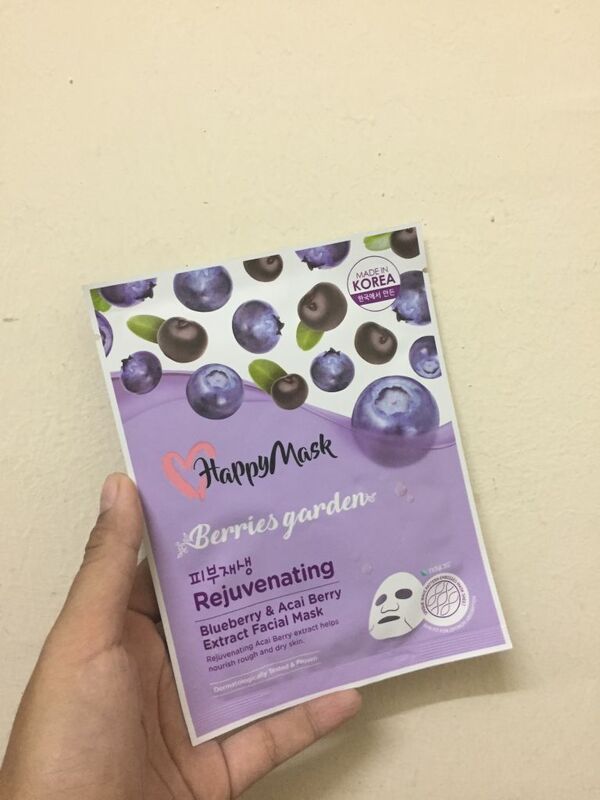 I am very satisfied, my face skin becomes smoother , and less dry after using the mask. Recommended! 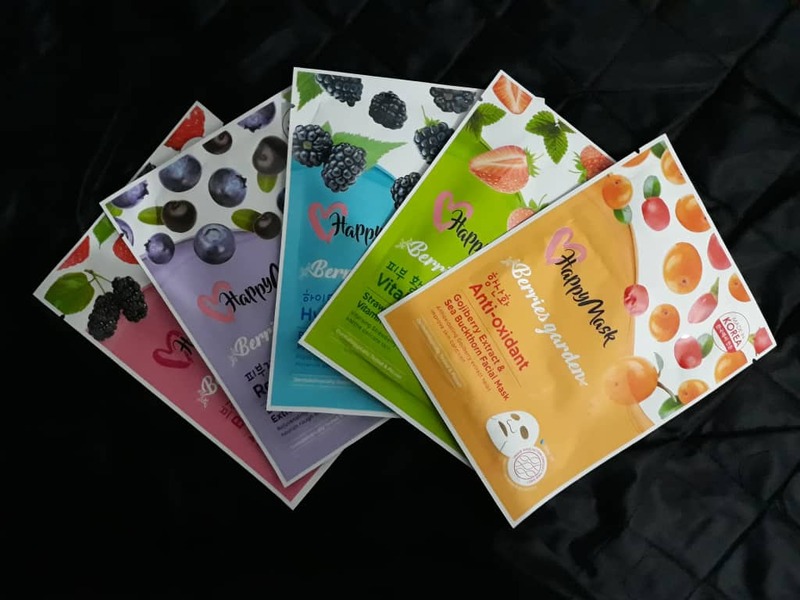 I had tried all the 5 types of mask. What I wanna say about these mask are they all have different types of scent. 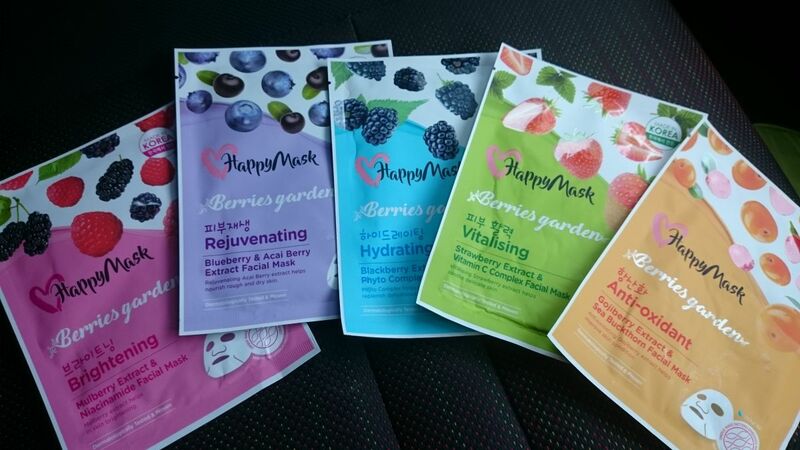 Yes, all of the mask smell nice but my personal favourite smell is the hydrating mask. I just love that smell so much. I don’t have a least favourite smell cause the rest of the mask smell good to me. Also, what is good about these mask are they fit perfectly on my face which is a bonus point. 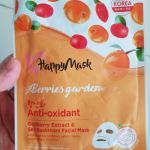 In addition, after you apply this mask, you will feel so refreshing and your skin is like hydrated but your skin will somehow feel a little sticky but that is not a problem for me. 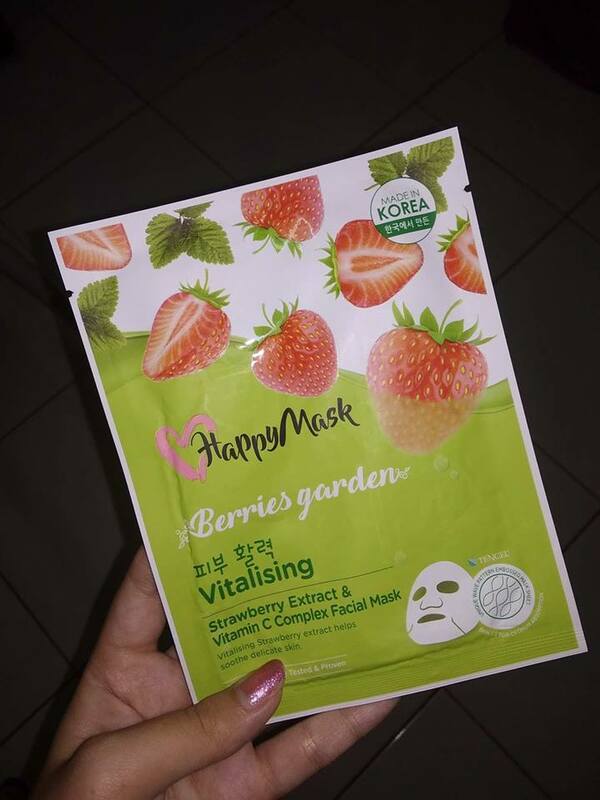 Overall, this is a good quality mask. 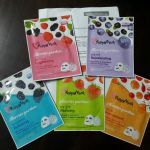 I received a set of 5 different flavours to review. 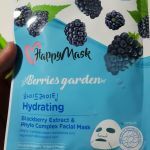 The masks were surprisingly not strong-scented (good for people who don’t like artificial scents in their masks) and quite hydrating. The size is a good fit for my face. There is some texture to the masks due to the patterned surface. 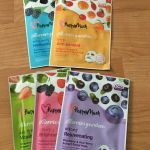 These masks are good for a quick hydration boost to the skin. After using, there was a sheen of moisture on my face which I did not wash off. The residue dries up to be a little sticky on my skin but nothing unmanageable. You may choose to wash it off, or just continue with your post-mask skincare routine i.e. serum, essence and moisturizer/night mask.